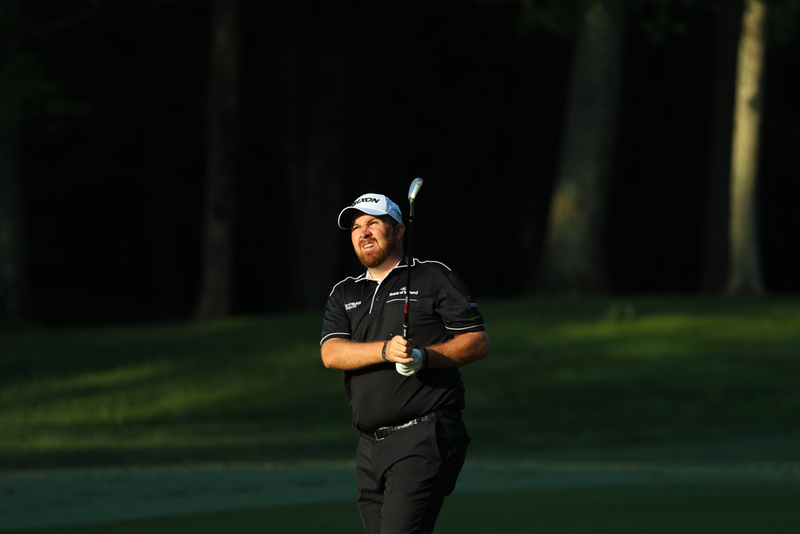 Shane Lowry roared into contention for his first win in two years when he rattled in eight birdies in a sensational 64 in the €2m Portugal Masters. The Clara man (30) grabbed his maiden professional win around the Dom Pedro Victoria Golf Course in 2012 and despite falling to 83rd in the world since his most recent win in the 2015 WGC Bridgestone Invitational, a win tomorrow could catapult him as high as 63rd. Lowry is just three strokes behind Italy's Nino Bertasio, who shot a second successive, six-under-par 65 to lead by a stroke from Denmark's Lucas Bjerregaardd and Scotland's Marc Warren on 12-under-par with defending champion Pádraig Harrington lurking just four strokes off the pace after another 67. "I am very excited for the weekend and looking forward to getting out there tomorrow and seeing what I can do," said Lowry, who started on the back nine and made three birdies to go out in 33. He moved to six under for the round with birdies at the second, fourth and fifth before following a bogey at the seventh with a brace of closing birdies, holing a 30 footer for a two at the eighth and an eight-footer at the ninth. "I am disappointed with my bogey on seven because I felt like I hit a decent putt and it just wiggled a bit right," said Lowry, who is aiming to get back into the world's top 50 before the end of the season. "But it was lovely to finish with two birdies, especially to shoot 64 and put myself in a really good position going into the weekend. “If anything it was quite tricky in the afternoon. The wind got up a lot so, yeah, it was one of those where I just wanted to play my way into the tournament. “I managed to hole a great putt on the last there to shoot two-under yesterday, and then I got out and just got after it today. “I made a few birdies early on but they dried up in the middle and then at the end I was on fire." Harrington (46) is trying to complete his first successful title defence since he retained the Open Championship in 2008. Ranked 158th in the world — a win could put him back in the top 100 — the Dubliner birdied the fourth, fifth and eighth to move to seven under, then followed his lone bogey of the week at the ninth with birdies at the par-five 12th and short 13th. Moyola Park's Chris Selfridge comfortably missed the three under par cut after rounds of 74 and 76. But there were no such problems for the leader, who is in desperate need of a big finish to his season as he is 117th on the Race to Dubai with only the top 100 retaining their cards. "I'm feeling good," Bertasio said. "The game's really good. I had a bogey-free round today, and it was very easy golf. "I just missed one green, and I chipped it to one foot so I never really struggled to make pars and had a lot of looks at birdies, and I made some and missed some, so it was a very easy six under." Bjerregaard is 114th with Warren 173rd in the money list, but they also made a mockery of those positions on a day of good scoring in Vilamoura with rounds of 65 and 64. 139 B Evans (Eng) 69 70, D Brooks (Eng) 70 69, N Colsaerts (Bel) 69 70, A Karlsson (Swe) 69 70, T Pieters (Bel) 69 70, J Edfors (Swe) 71 68, S Webster (Eng) 70 69, J Rutherford (Eng) 69 70, S Soderberg (Swe) 68 71, H Li (Chn) 70 69, P Waring (Eng) 73 66, R Kakko (Fin) 70 69, T Lewis (Eng) 69 70.